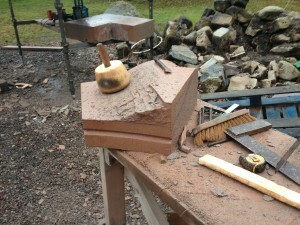 Colin Rowan, founder of Rowan Stoneworks, has 40 years experience in the trade. Colin’s apprenticeship was carried out with Historic Scotland, based at Dunstnaffnage Castle, Dunbeg and he studied at David Dale College in Glasgow. On completion of his apprenticeship he moved to Edinburgh and worked at Canon Mills Bridge, Stewart MacGlashan Stonemasons as a banker mason for 4 years. Here he was involved in the cutting of stone for various projects including Fettes College, Royal Bank of Scotland, George Street, Edinburgh, The Burrell Collection, Stirling Castle, Culzean Castle, to name but a few. In 1982, Colin became self employed and has been in constant demand ever since. He prides himself with happy clients and leaving a clean and tidy site. Our work varies significantly from restoring the pictish Broch on the Island of Lismore, carving wall plates to new builds faced with stone. No two projects are the same.